Chicago's Chinatown is pleasantly authentic. At the many restaurants in the area, local Chinese customers are joined by Chicagoans from all over the city "going Chinese" for the night. 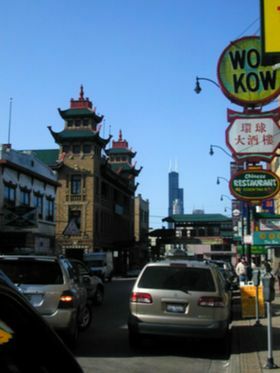 Chicago's Chinatown is the third largest in the United States, the Midwestern business center for Chinese-Americans, and home to large populations of Cantonese and Taiwanese. The main street, Wentworth Ave, is a great place for dining out and rummaging through eccentric stores, looking for gifts. 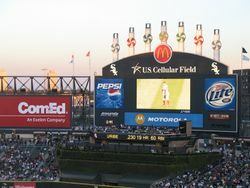 US Cellular Field, better known as Comiskey Park, is several blocks south of Chinatown and is home to the South Side's favorite baseball team, the Chicago White Sox. Bridgeport is a large Irish-American enclave that has produced some of Chicago's most famous South Side Irish, such as Finley Peter Dunne and the two mayors Daley. Being the birthplace of the city's power brokers has been good to Bridgeport. The first Daley remembered playing in the streets as a child, dodging fetid puddles filled with carcasses from the local slaughterhouses. Bungalows and other single-family homes are more the norm these days. 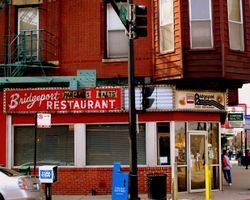 Bridgeport is now seeing a large influx of Mexican immigrants, which means more good food options are springing up left and right, and has even seen a wave of North Siders priced out of hip neighborhoods like Wicker Park and Lincoln Park. The most interesting "immigrants" of late are certainly the Zhou brothers Da Huang and Shan Zuo, who are both internationally acclaimed painters, and who have bought five large buildings along Morgan Street for the ostensible purpose of building a serious artist colony in Bridgeport. Regardless of what brings you to the neighborhood, it is full of gritty character (and characters) and is quite possibly haunted — Bridgeport is always an interesting place for a walk. 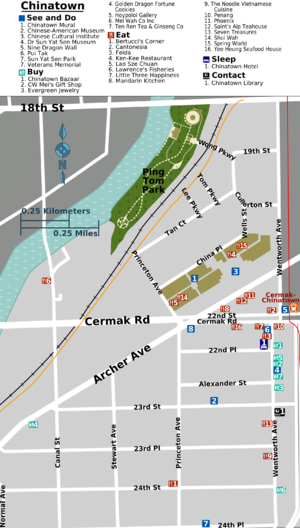 The main L stations are on the CTA Red Line at Cermak-Chinatown and Sox-35th for visiting Chinatown and US Cellular Field respectively. 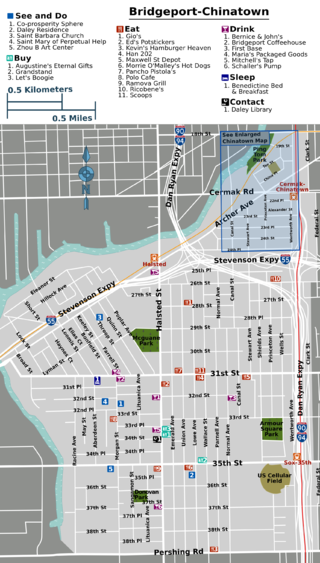 Other options include Halsted and Ashland on the Orange Line, which are on the northern and western outskirts of Bridgeport, and 35-Bronzeville-IIT on the Green Line, which is a block and a half east of the Sox-35th station. The main routes into Bridgeport-Chinatown from the Loop are #62, which runs the length of Archer Ave from State St, and the #24, which runs from Clark St to Wentworth Ave through the center of Chinatown and next to US Cellular Field. Route #8 is also useful, as it runs north-south along Halsted St, which runs through the Near West Side and Near North neighborhoods as well as the middle of Bridgeport. Bridgeport is far further off the beaten foodie path, but it's a quirky neighborhood with some excellent options. Ed's Potstickers is the standout destination restaurant that really warrants a trip. If you want to get out of the touristy areas and get a real Chicago neighborhood experience, the three options below are excellent. 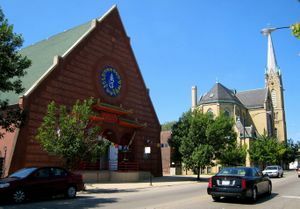 The Chinatown experience is, as is appropriate, budget and poor, while the Bridgeport options are upscale and full of South Side character. This page was last edited on 30 May 2018, at 02:38.